^ a b Rosaly MC Lopes (2006). “Io: The Volcanic Moon”. Encyclopedia of the Solar System. Academic Press. pp. 419–431. ISBN 978-0-12-088589-3. ^ a b Lopes, R. M. C. (2004). “Lava lakes on Io: Observations of Io’s volcanic activity from Galileo NIMS during the 2001 fly-bys”. Icarus 169 (1): 140–174. Bibcode: 2004Icar..169..140L. doi:10.1016/j.icarus.2003.11.013. ^ a b c d Peale, S. J. (1979). “Melting of Io by Tidal Dissipation”. Science 203 (4383): 892–894. Bibcode: 1979Sci...203..892P. doi:10.1126/science.203.4383.892. PMID 17771724. ^ a b c d Schenk, P. (2001). “The Mountains of Io: Global and Geological Perspectives from Voyager and Galileo”. Journal of Geophysical Research 106 (E12): 33201–33222. Bibcode: 2001JGR...10633201S. doi:10.1029/2000JE001408. ^ a b c Cruikshank, D. P.; Nelson, R. M. (2007). “A history of the exploration of Io”. In Lopes, R. M. C.; Spencer, J. R.. Io after Galileo. Springer-Praxis. pp. 5–33. ISBN 3-540-34681-3. ^ a b Marius, S. (1614). Mundus Iovialis anno M.DC.IX Detectus Ope Perspicilli Belgici. http://articles.adsabs.harvard.edu//full/1916Obs....39..367./0000367.000.html. ^ Marazzini, Claudio (2005). 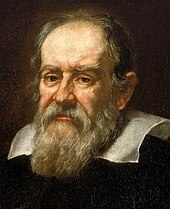 “I nomi dei satelliti di Giove: da Galileo a Simon Marius”. Lettere Italiane 57 (3): 391–407. JSTOR 26267017. ^ a b c Barnard, E. E. (1894). “On the Dark Poles and Bright Equatorial Belt of the First Satellite of Jupiter”. Monthly Notices of the Royal Astronomical Society 54 (3): 134–136. Bibcode: 1894MNRAS..54..134B. doi:10.1093/mnras/54.3.134. ^ a b Barnard, E. E. (1891). “Observations of the Planet Jupiter and his Satellites during 1890 with the 12-inch Equatorial of the Lick Observatory”. Monthly Notices of the Royal Astronomical Society 51 (9): 543–556. Bibcode: 1891MNRAS..51..543B. doi:10.1093/mnras/51.9.543. ^ Dobbins, T.; Sheehan, W. (2004). “The Story of Jupiter's Egg Moons”. Sky & Telescope 107 (1): 114–120. ^ Minton, R. B. (1973). “The Red Polar Caps of Io”. Communications of the Lunar and Planetary Laboratory 10: 35–39. Bibcode: 1973CoLPL..10...35M. ^ Lee, T. (1972). 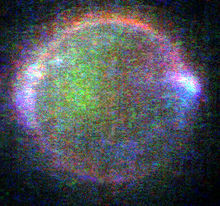 “Spectral Albedos of the Galilean Satellites”. Communications of the Lunar and Planetary Laboratory 9 (3): 179–180. Bibcode: 1972CoLPL...9..179L. ^ Fanale, F. P. (1974). “Io: A Surface Evaporite Deposit?”. Science 186 (4167): 922–925. Bibcode: 1974Sci...186..922F. doi:10.1126/science.186.4167.922. PMID 17730914. ^ a b Bigg, E. K. (1964). “Influence of the Satellite Io on Jupiter's Decametric Emission”. Nature 203 (4949): 1008–1010. Bibcode: 1964Natur.203.1008B. doi:10.1038/2031008a0. ^ Anderson, J. D. (1974). “Gravitational parameters of the Jupiter system from the Doppler tracking of Pioneer 10”. Science 183 (4122): 322–323. Bibcode: 1974Sci...183..322A. doi:10.1126/science.183.4122.322. PMID 17821098. ^ a b Smith, B. A. (1979). “The Jupiter system through the eyes of Voyager 1”. Science 204 (4396): 951–972. Bibcode: 1979Sci...204..951S. doi:10.1126/science.204.4396.951. PMID 17800430. ^ a b Morabito, L. A. (1979). “Discovery of currently active extraterrestrial volcanism”. Science 204 (4396): 972. Bibcode: 1979Sci...204..972M. doi:10.1126/science.204.4396.972. PMID 17800432. ^ a b Strom, R. G. (1979). “Volcanic eruption plumes on Io”. Nature 280 (5725): 733–736. Bibcode: 1979Natur.280..733S. doi:10.1038/280733a0. ^ Soderblom, L. A. (1980). “Spectrophotometry of Io: Preliminary Voyager 1 results”. Geophys. Res. Lett. 7 (11): 963–966. Bibcode: 1980GeoRL...7..963S. doi:10.1029/GL007i011p00963. ^ a b Pearl, J. C. (1979). “Identification of gaseous SO2 and new upper limits for other gases on Io”. Nature 288 (5725): 757–758. Bibcode: 1979Natur.280..755P. doi:10.1038/280755a0. ^ Broadfoot, A. L. (1979). “Extreme ultraviolet observations from Voyager 1 encounter with Jupiter”. Science 204 (4396): 979–982. Bibcode: 1979Sci...204..979B. doi:10.1126/science.204.4396.979. PMID 17800434. ^ Strom, R. G.; Schneider, N. M. (1982). “Volcanic eruptions on Io”. In Morrison, D.. Satellites of Jupiter. University of Arizona Press. pp. 598–633. ISBN 0-8165-0762-7. ^ a b Anderson, J. D. (1996). “Galileo Gravity Results and the Internal Structure of Io”. Science 272 (5262): 709–712. Bibcode: 1996Sci...272..709A. doi:10.1126/science.272.5262.709. PMID 8662566. ^ a b c McEwen, A. S. (1998). “High-temperature silicate volcanism on Jupiter's moon Io”. Science 281 (5373): 87–90. Bibcode: 1998Sci...281...87M. doi:10.1126/science.281.5373.87. PMID 9651251. ^ a b Perry, J. (2007). “A Summary of the Galileo mission and its observations of Io”. In Lopes, R. M. C.. Io after Galileo. Springer-Praxis. pp. 35–59. ISBN 3-540-34681-3. ^ Porco, C. C. (2003). “Cassini imaging of Jupiter's atmosphere, satellites, and rings”. Science 299 (5612): 1541–1547. Bibcode: 2003Sci...299.1541P. doi:10.1126/science.1079462. PMID 12624258. ^ Marchis, F. (2005). “Keck AO survey of Io global volcanic activity between 2 and 5 μm”. Icarus 176 (1): 96–122. Bibcode: 2005Icar..176...96M. doi:10.1016/j.icarus.2004.12.014. ^ a b Spencer, J. R. (2007). 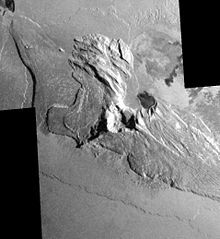 “Io Volcanism Seen by New Horizons: A Major Eruption of the Tvashtar Volcano”. Science 318 (5848): 240–243. Bibcode: 2007Sci...318..240S. doi:10.1126/science.1147621. PMID 17932290. ^ 平田 直之; 宮本 英昭 (2011). “土星系の小型衛星達 : 内部構造と表層進化” (pdf). 日本惑星科学会誌 遊星人 20 (4): 271–280. https://www.wakusei.jp/book/pp/2011/2011-4/2011-4-271.pdf. ^ Lopes, R. M. C.; Williams, D. A. (2005). “Io after Galileo”. Reports on Progress in Physics 68 (2): 303–340. Bibcode: 2005RPPh...68..303L. doi:10.1088/0034-4885/68/2/R02. ^ a b c d e f g h Schneider, N. M.; Bagenal, F. (2007). “Io's neutral clouds, plasma torus, and magnetospheric interactions”. In Lopes, R. M. C.; Spencer, J. R.. Io after Galileo. Springer-Praxis. pp. 265–286. ISBN 3-540-34681-3. ^ a b Postberg, F. (2006). “Composition of jovian dust stream particles”. Icarus 183 (1): 122–134. Bibcode: 2006Icar..183..122P. doi:10.1016/j.icarus.2006.02.001. ^ Burger, M. H. (1999). “Galileo's close-up view of Io sodium jet”. Geophys. Res. Lett. 26 (22): 3333–3336. Bibcode: 1999GeoRL..26.3333B. doi:10.1029/1999GL003654. ^ a b Krimigis, S. M. (2002). “A nebula of gases from Io surrounding Jupiter”. Nature 415 (6875): 994–996. Bibcode: 2002Natur.415..994K. doi:10.1038/415994a. PMID 11875559. ^ Medillo, M. (2004). “Io's volcanic control of Jupiter's extended neutral clouds”. Icarus 170 (2): 430–442. Bibcode: 2004Icar..170..430M. doi:10.1016/j.icarus.2004.03.009. ^ Grün, E. (1993). “Discovery of Jovian dust streams and interstellar grains by the ULYSSES spacecraft”. Nature 362 (6419): 428–430. Bibcode: 1993Natur.362..428G. doi:10.1038/362428a0. ^ Zook, H. A. (1996). “Solar Wind Magnetic Field Bending of Jovian Dust Trajectories”. Science 274 (5292): 1501–1503. Bibcode: 1996Sci...274.1501Z. doi:10.1126/science.274.5292.1501. PMID 8929405. ^ Grün, E. (1996). “Dust Measurements During Galileo's Approach to Jupiter and Io Encounter”. Science 274 (5286): 399–401. Bibcode: 1996Sci...274..399G. doi:10.1126/science.274.5286.399. ^ a b Kerr, R. A. (2010). “Magnetics Point to Magma 'Ocean' at Io”. Science 327 (5964): 408–409. doi:10.1126/science.327.5964.408-b. PMID 20093451. ^ Schubert, J. (2004). “Interior composition, structure, and dynamics of the Galilean satellites.”. In F. Bagenal. 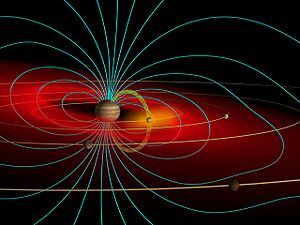 Jupiter: The Planet, Satellites, and Magnetosphere. Cambridge University Press. pp. 281–306. ISBN 978-0-521-81808-7. ^ a b Anderson, J. D. (2001). “Io's gravity field and interior structure”. J. Geophys. Res. 106 (E12): 32963–32969. Bibcode: 2001JGR...10632963A. doi:10.1029/2000JE001367. ^ Kivelson, M. G. (2001). “Magnetized or Unmagnetized: Ambiguity persists following Galileo's encounters with Io in 1999 and 2000”. J. Geophys. Res. 106 (A11): 26121–26135. Bibcode: 2001JGR...10626121K. doi:10.1029/2000JA002510. ^ Sohl, F. (2002). “Implications from Galileo observations on the interior structure and chemistry of the Galilean satellites”. Icarus 157 (1): 104–119. Bibcode: 2002Icar..157..104S. doi:10.1006/icar.2002.6828. ^ Kuskov, O. L.; Kronrod, V. A. (2001). “Core sizes and internal structure of the Earth's and Jupiter's satellites”. Icarus 151 (2): 204–227. Bibcode: 2001Icar..151..204K. doi:10.1006/icar.2001.6611. ^ a b c d Moore, W. B. (2007). “The Interior of Io.”. In R. M. C. Lopes. Io after Galileo. Springer-Praxis. pp. 89–108. ISBN 3-540-34681-3. ^ Jaeger, W. L. (2003). “Orogenic tectonism on Io”. J. Geophys. Res. 108 (E8): 12–1. Bibcode: 2003JGRE..108.5093J. doi:10.1029/2002JE001946. ^ Yoder, C. F. (1979). “How tidal heating in Io drives the Galilean orbital resonance locks”. Nature 279 (5716): 767–770. Bibcode: 1979Natur.279..767Y. doi:10.1038/279767a0. ^ a b Lainey, V. (2009). “Strong tidal dissipation in Io and Jupiter from astrometric observations”. Nature 459: 957–959. Bibcode: 2009Natur.459..957L. doi:10.1038/nature08108. PMID 19536258. ^ Moore, W. B. (2003-08). “Tidal heating and convection in Io”. Journal of Geophysical Research 108 (E8): 5096. Bibcode: 2003JGRE..108.5096M. doi:10.1029/2002JE001943. ^ Tyler, Robert H.; Henning, Wade G.; Hamilton, Christopher W. (June 2015). “Tidal Heating in a Magma Ocean within Jupiter's Moon Io”. The Astrophysical Journal Supplement Series 218 (2): 22. Bibcode: 2015ApJS..218...22T. doi:10.1088/0067-0049/218/2/22. ^ Calder, Nigel (2005). Magic Universe: A Grand Tour of Modern Science. Oxford University Press. p. 215. ISBN 978-0-19-280669-7. https://books.google.com/books?id=E4NfZ9FDcc8C&pg=PT374&lpg=PT374. ^ a b Carlson, R. W. (2007). “Io's surface composition”. In Lopes, R. M. C.. Io after Galileo. Springer-Praxis. pp. 194–229. ISBN 3-540-34681-3. ^ Spencer, J. (2000). “Discovery of Gaseous S2 in Io's Pele Plume”. Science 288 (5469): 1208–1210. Bibcode: 2000Sci...288.1208S. doi:10.1126/science.288.5469.1208. PMID 10817990. ^ Douté, S. (2004). “Geology and activity around volcanoes on Io from the analysis of NIMS”. Icarus 169 (1): 175–196. Bibcode: 2004Icar..169..175D. doi:10.1016/j.icarus.2004.02.001. ^ a b c d Radebaugh, D. (2001). 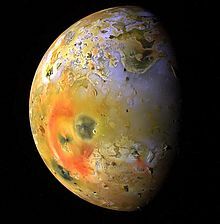 “Paterae on Io: A new type of volcanic caldera?”. J. Geophys. Res. 106 (E12): 33005–33020. Bibcode: 2001JGR...10633005R. doi:10.1029/2000JE001406. ^ Keszthelyi, L. (2004). “A Post-Galileo view of Io's Interior”. Icarus 169 (1): 271–286. Bibcode: 2004Icar..169..271K. doi:10.1016/j.icarus.2004.01.005. ^ Williams, David; Radebaugh, Jani; Keszthelyi, Laszlo P.; McEwen, Alfred S.; Lopes, Rosaly M. C.; Douté, Sylvain; Greeley, Ronald (2002). “Geologic mapping of the Chaac-Camaxtli region of Io from Galileo imaging data”. Journal of Geophysical Research 107 (E9): 5068. Bibcode: 2002JGRE..107.5068W. doi:10.1029/2001JE001821. ^ Moore, Patrick, ed (2002). Astronomy Encyclopedia. New York: Oxford University Press. p. 232. ISBN 0-19-521833-7. ^ Radebaugh, J. (2004). “Observations and temperatures of Io's Pele Patera from Cassini and Galileo spacecraft images”. Icarus 169 (1): 65–79. Bibcode: 2004Icar..169...65R. doi:10.1016/j.icarus.2003.10.019. ^ Howell, R. R.; Lopes, R. M. C. (2007). “The nature of the volcanic activity at Loki: Insights from Galileo NIMS and PPR data”. Icarus 186 (2): 448–461. Bibcode: 2007Icar..186..448H. doi:10.1016/j.icarus.2006.09.022. ^ Keszthelyi, L. (2001). “Imaging of volcanic activity on Jupiter's moon Io by Galileo during the Galileo Europa Mission and the Galileo Millennium Mission”. J. Geophys. Res. 106 (E12): 33025–33052. Bibcode: 2001JGR...10633025K. doi:10.1029/2000JE001383. ^ a b Keszthelyi, L. (2007). “New estimates for Io eruption temperatures: Implications for the interior”. Icarus 192 (2): 491–502. Bibcode: 2007Icar..192..491K. doi:10.1016/j.icarus.2007.07.008. ^ Roesler, F. L.; Moos, H. W.; Oliversen, R. J.; Woodward, Jr., R. C.; Retherford, K. D. et al. (January 1999). “Far-Ultraviolet Imaging Spectroscopy of Io's Atmosphere with HST/STIS”. Science 283 (5400): 353–357. Bibcode: 1999Sci...283..353R. doi:10.1126/science.283.5400.353. PMID 9888844. ^ a b c Geissler, P. E.; McEwen, A. S.; Ip, W.; Belton, M. J. S.; Johnson, T. V. et al. (August 1999). “Galileo Imaging of Atmospheric Emissions from Io”. Science 285 (5429): 870–874. Bibcode: 1999Sci...285..870G. doi:10.1126/science.285.5429.870. PMID 10436151. ^ McEwen, A. S.; Soderblom, L. A. (August 1983). “Two classes of volcanic plume on Io”. Icarus 55 (2): 197–226. Bibcode: 1983Icar...55..191M. doi:10.1016/0019-1035(83)90075-1. ^ a b Battaglia, Steven M.; Stewart, Michael A.; Kieffer, Susan W. (June 2014). “Io's theothermal (sulfur) - Lithosphere cycle inferred from sulfur solubility modeling of Pele's magma supply”. Icarus 235: 123–129. Bibcode: 2014Icar..235..123B. doi:10.1016/j.icarus.2014.03.019. ^ Clow, G. D.; Carr, M. H. (1980). “Stability of sulfur slopes on Io”. Icarus 44 (2): 268–279. Bibcode: 1980Icar...44..268C. doi:10.1016/0019-1035(80)90022-6. ^ a b Schenk, P. M.; Bulmer, M. H. (1998). “Origin of mountains on Io by thrust faulting and large-scale mass movements”. Science 279 (5356): 1514–1517. Bibcode: 1998Sci...279.1514S. doi:10.1126/science.279.5356.1514. PMID 9488645. ^ McKinnon, W. B. (2001). “Chaos on Io: A model for formation of mountain blocks by crustal heating, melting, and tilting”. Geology 29 (2): 103–106. Bibcode: 2001Geo....29..103M. doi:[[doi:10.1130%2F0091-7613%282001%29029%3C0103%3ACOIAMF%3E2.0.CO%3B2|10.1130/0091-7613(2001)029<0103:COIAMF>2.0.CO;2]]. ^ Tackley, P. J. (2001). “Convection in Io's asthenosphere: Redistribution of nonuniform tidal heating by mean flows”. J. Geophys. Res. 106 (E12): 32971–32981. Bibcode: 2001JGR...10632971T. doi:10.1029/2000JE001411. ^ a b Schenk, P. M.; Wilson, R. R.; Davies, A. G. (2004). “Shield volcano topography and the rheology of lava flows on Io”. Icarus 169 (1): 98–110. Bibcode: 2004Icar..169...98S. doi:10.1016/j.icarus.2004.01.015. ^ Moore, J. M. (2001). “Landform degradation and slope processes on Io: The Galileo view”. J. Geophys. Res. 106 (E12): 33223–33240. Bibcode: 2001JGR...10633223M. doi:10.1029/2000JE001375. ^ a b c d e f g Lellouch, E. (2007). “Io's atmosphere”. In Lopes, R. M. C.. Io after Galileo. Springer-Praxis. pp. 231–264. ISBN 3-540-34681-3. ^ a b c d e Walker, A. C. (2010). “A Comprehensive Numerical Simulation of Io's Sublimation-Driven Atmosphere”. Icarus. in press (1): 409–432. Bibcode: 2010Icar..207..409W. doi:10.1016/j.icarus.2010.01.012. ^ Spencer, A. C. (2005). “Mid-infrared detection of large longitudinal asymmetries in Io's SO2 atmosphere”. Icarus 176 (2): 283–304. Bibcode: 2005Icar..176..283S. doi:10.1016/j.icarus.2005.01.019. ^ Geissler, P. E.; Goldstein, D. B. (2007). “Plumes and their deposits”. In Lopes, R. M. C.; Spencer, J. R.. Io after Galileo. Springer-Praxis. pp. 163–192. ISBN 3-540-34681-3. ^ a b c Moullet, A. (2010). “Simultaneous mapping of SO2, SO, NaCl in Io's atmosphere with the Submillimeter Array”. Icarus. in press (1): 353–365. Bibcode: 2010Icar..208..353M. doi:10.1016/j.icarus.2010.02.009. ^ Feaga, L. M. (2009). “Io's dayside SO2 atmosphere”. Icarus 201 (2): 570–584. Bibcode: 2009Icar..201..570F. doi:10.1016/j.icarus.2009.01.029. ^ Tsang, C. C. C.; Spencer, J. R.; Lellouch, E.; Lopez-Valverde, M. A.; Richter, M. J. (2 August 2016). “The collapse of Io's primary atmosphere in Jupiter eclipse”. Journal of Geophysical Research: Planets 121: 1400–1410. Bibcode: 2016JGRE..121.1400T. doi:10.1002/2016JE005025. ^ Moore, C. H. (2009). “1-D DSMC simulation of Io's atmospheric collapse and reformation during and after eclipse”. Icarus 201 (2): 585–597. Bibcode: 2009Icar..201..585M. doi:10.1016/j.icarus.2009.01.006. 2 condensation/sublimation cause the somtimes reported post-eclipse brightening?”. Geophysical Research Letters 8 (6): 625–628. Bibcode: 1981GeoRL...8..625F. doi:10.1029/GL008i006p00625. ^ Nelson, Robert M. et al. (1993-02). “The Brightness of Jupiter's Satellite Io Following Emergence from Eclipse: Selected Observations, 1981–1989”. Icarus 101 (2): 223–233. Bibcode: 1993Icar..101..223N. doi:10.1006/icar.1993.1020. ^ Veverka, J. et al. (1981-01). “Voyager search for posteclipse brightening on Io”. Icarus 47 (1): 60–74. Bibcode: 1981Icar...47...60V. doi:10.1016/0019-1035(81)90091-9. ^ Secosky, James J.; Potter, Michael (1994-09). “A Hubble Space Telescope study of posteclipse brightening and albedo changes on Io”. Icarus 111 (1): 73–78. Bibcode: 1994Icar..111...73S. doi:10.1006/icar.1994.1134. ^ Bellucci, Giancarlo et al. (2004-11). “Cassini/VIMS observation of an Io post-eclipse brightening event”. Icarus 172 (1): 141–148. Bibcode: 2004Icar..172..141B. doi:10.1016/j.icarus.2004.05.012. ^ Tsang, Constantine C. C. et al. (2016-08). “The collapse of Io's primary atmosphere in Jupiter eclipse”. Journal of Geophysical Research: Planets 121 (8): 1400–1410. Bibcode: 2016JGRE..121.1400T. doi:10.1002/2016JE005025. ^ Retherford, K. D. (2000). “Io's Equatorial Spots: Morphology of Neutral UV Emissions”. J. Geophys. Res. 105 (A12): 27,157–27,165. Bibcode: 2000JGR...10527157R. doi:10.1029/2000JA002500.